Moomin Valley: How Did We Get to AUD 2 Million? The biggest contributor is profits on retirement accounts at $295k. Stock markets have been very strong. Retirement contributions added $182k. Housing equity contributed $249k. Current savings added $72k and profits on non-retirement accounts $219k. But, of course, we shifted $150k of current savings as a downpayment on our house. 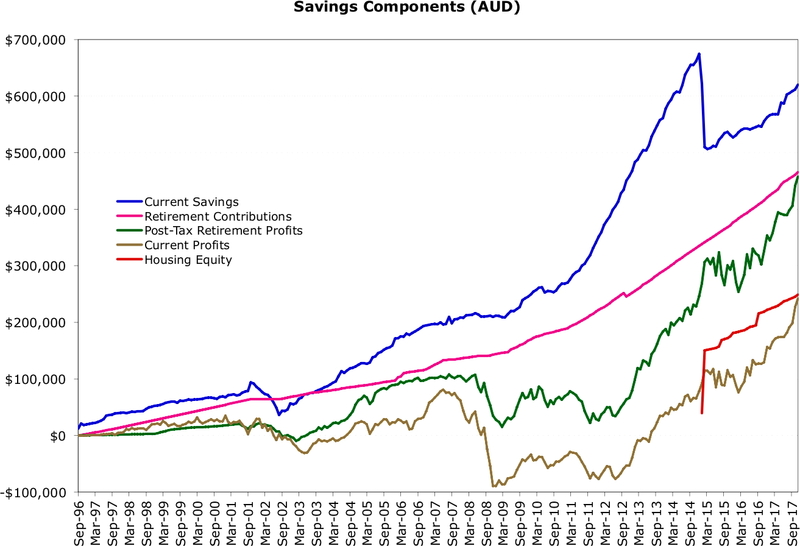 So really current savings were a larger contributor than retirement contributions. Of course, mortgage payments come out of our current income too. 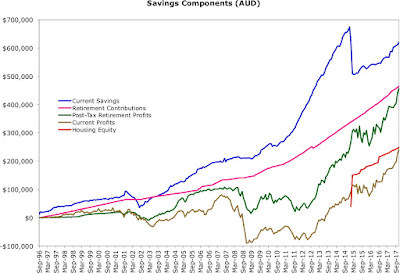 A lot of the time it feels like that we aren't doing any saving now apartment from mortgage principal payments and retirement contributions. The blue line shows that actually we are.